Thank You, Mr Prime Minister! When the world leaders were busy politicking and/or taking side over the shooting down of MH17, our PM YAB Datuk Seri Najib bin Tun Razak was quietly and relentlessly negotiating behind the scene with the separatist group in Ukraine to secure the release of the remains of the passengers, crew and two black boxes of MH17. 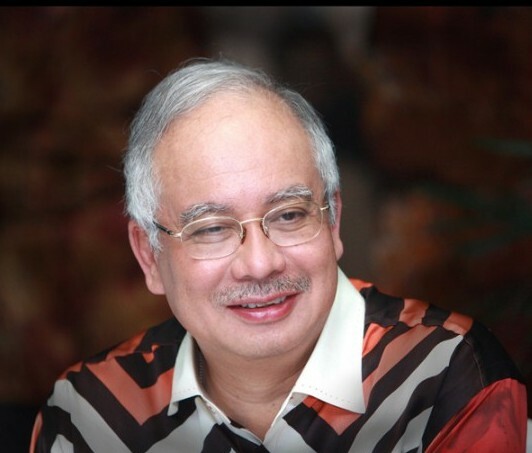 Congratulation to Mr Prime Minister Najib, you have made the nation proud you. You have shown your leadership during crisis. Under normal circumstances, the “popular” or easiest way out for any PM was to go along with the power that be by condemning another nation on the shooting down of MH17 but our PM did not embark on such irresponsible act. When the news of MH17 was shot down broke out, YAB PM immediately attend a briefing in the wee hours of the morning. He remained calm and held several press conferences to keep the families of the victims and the world informed of the matters in connection with MH17 without jumping into the conclusion to accuse others for shooting down MH17 and/or condemn any sovereign state. The PM kept all his statements factual. He was calling for an in-depth investigation into the tragedy of MH17, which was the most appropriate stand to take. Mr PM, Sir, you have made Malaysia feel proud of you. We stand by you during this difficult time. Our thoughts are with the families of the passengers and crew of MH17. He deserves a credit from us. I dont know the combined intrinsic investigative experience n qualification of the 2 other “expert” Malaysian team members sent to Ukraine to uncover the causes of MH17, but I doubt the “Botak” Azhari Dahlan was ever licensed on B777 or was ever trained by the AAIB, FAA or NTSB in such discipline. U guys know of his “expertise” other than in what he pick in Tony’s? Kudos and thank you, PM. PM has shown his statesmanship. Had the PM joined the pro-American leader to condemn Russia, I doubt the bodies of the MH17 victims will be released. Thank God that our PM has the acumen to do what he did to secure the release of the bodies. Good show PM Najib. Thump Ups our PM Najib. We are lucky that we have a PM like Najib who has helped to cushion the impact of the MH17. Just imagine if the bodies of the victim could not released for another week. Thank you PM for your leadership. Now get rid of your pro-American CON-sultants. Luckily Malaysia has Najib otherwise the bodies of the victims will still be in the train. Najib must get rid of his stupid pro-American advisers or CON-Sultant as the other readers have put it. A leader with stupid con-sultants or advisers will make the leader stupid too. pelase take note. Luckily we have a level headed PM Datuk Seri Najib who didn’t follow his stupid advisers, who are American lickers, and do the stupid things to condemn Russia. Malaysia has shown its neutrality that’s why the separatists group didn’t react negatively. Syabas! PM Datuk Seri Najib. We Malaysians must be proud of our PM Ajib Kor. A job well done, Sir. I would like to join YB Wee to thank you for your good judgment made in the national interests.